The Office Allsorts website is owned and operated by Index Office Supplies, a specialist supplier of office stationery and computer products based in Nottingham. We trade primarily online which means our costs are kept to a minimum and the savings passed on to you, our customer. We have over 35 years experience working for and closely with some of the largest Office and Computer product suppliers in the UK. This has given us an unparalleled understanding of the market and has allowed us to create a company we're very proud of. Where are Office Allsorts based? We are based in Nottingham with our offices just round the corner from Nottingham Forest’s City Ground and the Trent Bridge Cricket Ground. We don’t just supply Office Supplies to Nottingham however, we are a national supplier and can service your stationery needs wherever you are located in the country. Please call us 0115 9455833 to discuss your requirements. How do I complain or leave feedback? We hope you enjoy shopping with Office Allsorts and welcome both positive and negative feedback. Whichever contact method you use we guarantee that a company director will review the feedback and respond to you personally. What are your company registration and VAT numbers? We welcome orders from public sector bodies with payment either by government procurement card or credit account. We have many years experience dealing with Schools, Colleges, Universities, Government Departments, Local Authorities, NHS Departments and Hospitals, Police Authorities, GP Surgeries, Fire and Rescue Services and the MOD. Customers can place orders using a government procurement card securely online or by telephoning: 0115 9455833. If you would like to apply for a credit account prior to ordering you can do so by completing our online form http://www.officeallsorts.co.uk/information/account_register. Please e-mail your order with a valid purchase order number or reference name to sales@officeallsorts.co.uk. We will arrange to invoice your finance department directly. We guarantee to offer the lowest price on your office supplies, which is why we constantly monitor the competition. If you can find another online company offering a lower price on a product of the same brand and model, we will give you a credit for 100% of the difference. To claim your credit please contact us with, proof of the lower price, your full name and e-mail address. We will then credit your account. Can I make changes to an order once placed? If you wish to change your order once it is placed then please contact us immediately. If we are able we will make the necessary amendments, however we do move very quickly once your order comes though to us which may mean it has already been processed. If this does happen you can return your order free of charge and hassle free, please refer to our Delivery and Returns Policies for full details. It’s really easy to remove an item from your shopping basket. Simply click on 'Remove' which can be found under each products description and stock levels. The item with disappear and the totals will automatically recalculate based on the new basket contents. We do our very best to supply all our products on a next day basis and use many suppliers to ensure a high level of order fulfilment. Where a product is out of stock the item will have an approximate lead time displayed. Should you place an order for an out of stock item our Customer Services team will contact you within one working day to confirm a delivery date. We will then monitor the backorder and keep you informed of any changes to this delivery date. We supply over 20,000 items which are split into over 400 product groups that have been designed to make the process of product searching as simple as possible. You can navigate the product groups by clicking on the category bar displayed towards the top of every page and then clicking on the type of product area most suitable for your requirements. If you still can’t find what you need then you can use our search facility which can be found in the top right corner of the website. Simply click on the box and allow it to expand, you can then enter your requirements. Will I get a confirmation that you have received my order? You will be emailed with a confirmation of your order shortly after you have completed payment. This will detail what you have ordered and the prices that you have paid for each item. We also email you once your order has been despatched from our warehouse facility. All our orders are sent using a next day courier service so once you receive the despatch email you can expect your delivery the following day. How do I order from Office Allsorts? If you’re ordering from us for the first time we’ll need to take a few details from you so we can send you your order. You can register with us before shopping or once you’ve filled up your basket and are ready to checkout. For full details of how to register with us please see ‘How do I register with Office Allsorts’ below. Shopping with us is really easy, simply browse our range of products, decide what you’d like to buy and put the items in your basket. Once you're happy with what you've chosen, click the 'Checkout' button just below the contents of your basket. If you haven't already done so, you'll be asked to sign in. If you haven't shopped with us before, click the 'New Customer' button and complete the registration process. The order confirmation pages will display all your order details including delivery and VAT and from here you can also select your delivery address. Once you’re happy you’ll be taken to the payment page where you can enter your card details or pay using Paypal. Once you've finished, we'll email you confirmation of your order which you can print off for your records. We’ll also email you to confirm your order has been despatched from our warehouse. How do I register with Office Allsorts? Before you can place an order you must first register so we know who you are and where to send your goods. You can register with us before you start shopping or after you’ve selected your products and are ready to checkout, in both instances the process is the same and will only take a couple of minutes. The link to register can be found in the top right of every page on the web site. The first page asks you for your login details including your Name, Email and Password. The email address should be one that you are happy for such correspondence such as Order Confirmations to be sent to. On the next page enter your delivery details and you’re done (we told you it was simple). Are the prices displayed inclusive of VAT? Most of our competitors don’t display prices with VAT and we think this is a little misleading and not fair on the customer. Two make our pricing as clear as possible we display two prices for every product. The larger price which is coloured green is the VAT excluded price and the smaller price displayed in grey is the VAT included price. Certain products are VAT exempt. These include: books, maps, coffee, tea and milk. 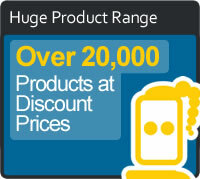 Please call us on 0115 9455833 if you'd like to check a specific product. Is it possible to track an order? You are able to review your past orders by clicking on the appropriate link when logged into your account. Currently it is not possible to track your order online, however this is something we are working hard on and hope to introduce in the future. If you have any concerns regards your order it’s best to give us a call on 0115 9455833. Do I get better prices if I order more? Can I see which products I have purchased from you before? There are several ways you can do this, however first you need to log into your account using your email address/username and password. Once you’re into your Account Homepage you can view all your previous orders by clicking on the ‘Order Management’ tab or alternatively you can click ‘Favourite Products’ and from here you can select to view your 50 most popular items. Can I enter my own purchase order numbers? You can use purchase order numbers if you have a business account with us. Purchase order numbers are entered during the checkout process. No need to panic, simply click the ‘Forgotten Password’ button on the customer log-in page and enter your email address or username. We will e-mail you with a new password for your account which you can then change to something more memorable once logged in. How do I find environmentally friendly products? Office Allsorts supply a comprehensive range of environmentally friendly products at pocket friendly prices that makes doing your little bit a whole lot easier. Each ‘Green' product is easily identifiable by the Office Allsorts green logo that will appear next to the product image. How do I find special offers? We have loads of special offers for you including free products, BOGOF deals and extra special low prices. You can find these special offers a number of ways. From the homepage click on the ‘Up to 80% off selected offer banner’, which will take you to our current promotions page where you can select an offer that is of interest to you. You can also navigate to the current promotions page by clicking on ‘Offers’ at the right hand end of the category menu bar towards the top of the every website page. You can also view special offer products specific to the type of product you are interested in by navigating to the product category page and clicking the ‘Show Me Only Special Offers’ filter on the right hand side of the website. If the filter is not present on the category you are viewing then we have no offers on products within that product group at the present time. Our product stock levels are updated every 15 minutes to ensure the website accurately reflects the actual amount of product available in our warehouses. From time to time products that were displayed as in stock at the time of ordering may go onto backorder. Should this situation arise we will advise you at the very latest by 10am the following morning of an anticipated delivery date and then keep you informed of any changes to this date. A. Have you seen this screen below? If you're seeing this screen, this means your credit/debit card is registered with your issuing bank as requiring you to enter an additional password or secure code. This private code gives you added protection against unauthorised use of your card at participating online shops and confirms to us that you are the authorised cardholder. Even if someone knows your credit/debit card number, the purchase can't be completed without your password or secure code being entered as well. Please ensure you have entered your correct password or secure code. If you need to know more about 3D Secure and have a VISA card click here, if you are using a MasterCard please click here. What methods of payment does Office Allsorts accept? We accept all major credit and debit cards. All transactions are protected by our secure server certificate which is an industry standard 256-BIT SSL certificate and all credit card transactions are processed using level 4 PCI DSS compliance, this means all of your personal and credit card details are encrypted as they pass over the internet from your computer to our secure servers. We do not hold any credit card numbers on file. We are more than happy to accept both Cheques and Postal Orders as payment, however goods cannot be despatched until the funds have cleared into our bank account. If you wish to pay by these methods please call us on 0115 9455833 so we can take your order over the phone. 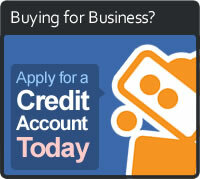 If you are buying for business then we are able to offer a 30 day credit account facility (based on T&C’s). Full instructions on how to apply for a credit account are detailed below in “How Do I open a credit account”. We now accept payment via Paypal. The option to pay by this method will be displayed during the checkout process. Simply click the Paypal logo when prompted to use this payment facility. For business and public sector customers Office Allsorts are pleased to offer a credit account facility based on our terms and conditions which can be found by clicking here . To apply for a credit facility simply go to the business account application link which is at the foot of every page on the website. The boxes highlighted in grey with an asterix are mandatory, the boxes in white are optional, however the more information you can provide the more quickly we can assess your application. After receiving you details we may ask for trade references to support your application. A member of the Office Allsorts team will contact you personally and talk you though the procedure if this is required. We aim to respond to all business account requests with either a decision or a request for further information within two hours. If your application is successful a member of the Office Allsorts team will contact you with your account details. You can pay off an invoice using any major credit or debit card by calling us on 0115 9455833. Public sector customers can pay invoices using a government procurement card by calling 0115 9455833. We are more than happy to accept both Cheques and Postal orders as payment. BACS payments should be sent to Account 62355957 Sort Code 40-10-06. Please quote your invoice reference within the transaction when paying by bank transfer. How does Office Allsorts use my personal data? All of the information we gather is for the purposes of processing orders on our site and to personalise and improve our communication with you, improve your shopping experience and prevent fraud. Most of the information you will provide us yourself when you register such as your name and address so that we know where to deliver your goods. You may give us your credit card details when you make a purchase. If you choose to have goods delivered to someone else, you will supply us with their name and address for delivery purposes. We also track a history of your purchases. This allows us and you to track the status of your order and its delivery status or resolve any post delivery issues with your order. In addition we might use this information to notify you of suitable promotions whilst at the same time, make sure we don’t send you promotions which are unsuitable for you as we don’t believe in bombarding our customers with unnecessary promotional marketing. Whilst we track how many ‘hits’ our website gets, we don’t track where you as an individual go on our website although Officeallsorts.co.uk does use ‘cookies’. All transactions are protected by our secure server certificate which is an industry standard 256-BIT SSL certificate and all credit card transactions are processed using level 4 PCI DSS compliance, this means all of your personal and credit card details are encrypted as they pass over the internet from your computer to our secure servers. Orders must be placed by 5:00pm (Monday to Friday) to qualify for next working day delivery status, although, if we receive orders after 5:00pm we will still do our utmost to arrange for next working day delivery. Orders received online on Saturdays and Sundays will be despatched on the Monday for a Tuesday delivery and if received during periods of public holidays, they will be despatched on the first available normal working day. 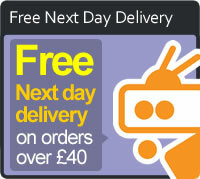 For orders to mainland UK addresses next working day delivery is free of charge on orders over £40, excluding VAT. For orders at £40 or under (excluding VAT) a delivery charge of £6.95 excluding VAT will be charged unless agreed in writing to the contrary by Office Allsorts Ltd.
For deliveries to the UK Islands including the Channel Islands, Islands of Scotland, The Isle of Wight and The Isle of Man as examples the delivery costs are as follows. Free of charge on orders over £200, excluding VAT. For orders at £200 or under a delivery charge of £10.95 (excluding VAT) will be charged. Our primary delivery courier is Fed Ex with some printer supplies being sent via DPD. Both courier services have excellent delivery records and we have selected to work with them because we believe they offer our customers the best levels of service. From time to time orders can be delayed, however on most occasions the delay will only be one working day. If the delay is going to be two working days or greater then, in most instances we will call you to advise of the issue. If for some reason we have not be made aware of the problem by our couriers then please accept our apologies and call us on 0115 9455833 with the details. Firstly, please check your despatch paperwork to ensure the item you are missing was definitely marked as included in your shipment. The item you ordered may be out of stock, if so, this can be checked from within your ‘order management’ option on the site. If the item was marked as included then please let us know within 3 days of receipt of the order and we will arrange a replacement to be sent to you. Also we have two large warehouses, one holding all our stationery and office supplies and the second with our printer supplies. If your order consists of just office supplies or just printer supplies then as long as everything is in stock you will get one delivery containing all your goods. However, if the order is mixed then there is a possibility that you will receive two deliveries from us on the same day. Our warehousing is managed like this so we can maintain a comprehensive in-depth stocking policy which helps us achieve a higher level of order fulfilment than many of our competitors. Deliveries will usually be made by FedEx or DPD between 9:00am and 5:00pm Monday to Friday inclusive. The courier will require someone to sign for receipt of the goods to ensure that the order got to you safely. Some large or heavy items such as furniture or safes will require longer delivery times (usually 3-5 days) because of their special delivery requirements. These products will be identified on our website in advance of you placing your order. Can I request delivery be made on specific date? I’m afraid we are unable to offer a 100% guarantee that delivery will be made on a date you have chosen but we will try our absolute best to make it happen. If you have special delivery requirements please make sure you add these in the 'Special Delivery Requirements' box when placing your order and we will do our utmost to ensure they are met. Will the delivery driver help me with larger/heavy items? Our couriers are only insured to deliver heavy items to the ground floor level of a building. Whilst we want to offer as much assistance as possible we would advise that if ordering heavy items for delivery to anything other than a ground floor that advanced arrangements are made to transport the goods to their final location. If you are ordering furniture and wish to have it assembled professionally then as part of the service we can arrange for the delivery to be made to any part of a building provided adequate access is available. For example, if delivering desks to the twelfth floor of a building we would consider adequate access to be a lift. Our assembly teams are fit and healthy, but they have their limits! Please see below for more details regards the furniture assembly service. I am ordering furniture, do you offer an assembly service? We offer a full and comprehensive delivery service which includes delivery to hard to reach areas of a building, construction of the furniture and environmentally responsible disposal of the packaging. The charge of this service is 10% of the RRP of the products you wish to have assembled or £50 whichever is the greater amount. If you are interested in this service please call us on 0115 9455833. Deliveries will usually be made by FedEx or DPD and can be made between 9:00am and 5:00pm Monday to Friday inclusive. If the courier attempts to make a delivery but is unsuccessful, a notice of attempted delivery will be left at the delivery address after each attempted delivery, indicating the date and time of the attempted delivery. The courier will make three attempts at delivery to business addresses and two attempts to residential addresses, after which time the delivery of goods will be treated as undeliverable and returned to Office Allsorts. We will contact you to discuss cancellation of the order, (please see cancellation terms and conditions). At this stage we do not offer a same day delivery service, however it is something we are looking at introducing in the future. I’m only round the corner, can I collect my order? Our offices in Nottingham do not hold any stock so unfortunately we do not offer a same day collection service. However, if you are local to Nottingham we can order goods into our offices on a next day basis and you can collect at a time convenient to you. If you are interested in this service please call us on 0115 9455833. If you order is being despatched for a next day delivery you will receive a confirmation email confirming it has left our warehouse and is on its way to you. If you are ordering something that is out of stock or that has a longer lead time such as furniture we will contact you either by email or telephone to advise when your goods will be delivered. Do you dispatch multiple items together? We have two large warehouses, one holding all our stationery and office supplies and the second with our printer supplies. If your order consists of just office supplies or just printer supplies then as long as everything is in stock you will get one delivery containing all your goods. However, if the order is mixed then there is a possibility that you will receive two deliveries from us on the same day. Currently we are unable to offer delivery outside of the UK. I want to send an order as a gift, is this possible? Our delivery notes simply state our details and the product description and code. No mention is made of price so you can ship direct to the lucky recipient safe in the knowledge that your spending is a secret. Please ensure you let us know within 2 days of receipt of the item if it arrives as damaged. Mark clearly on your despatch paperwork from the courier which item the damage relates to. 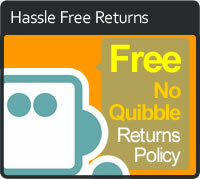 We will arrange for the item to be collected within 3 working days free of charge and a refund applied. A replacement will be sent out to you if still required, please indicate this when you complete the Query form. Depending on the item that is deemed faulty you may need to contact the manufacturer directly for resolution (in most cases of hardware items). If you are unsure though please contact us in the first instance and we will advise you. For items that are not covered by manufacturer's warranty then we will arrange collection and refund you accordingly. Replacement goods are subject to manufacturer's warranty terms and conditions. Please don’t return items of your own accord, we promise to collect within 3 working days of your collection request. We will attempt to collect a maximum of 3 times but failure to reach you after the third will determine a refund will not be possible. It is important you try to let us know about your returns within the requested guidelines, if you fail to do so we will try to accommodate a return and refund but can’t make a promise that we will be able to. If your collection has not been made within 4 days of our communication then please do prompt us and we will chase this for you. Yes, simply login to your account and select ‘Delivery Address’ from Your Account Homepage. In the grey bar it says ‘Delivery Address’ and next to this ‘edit’. Click ‘edit’ and you will be taken to the ‘Update Address Details’ page. Make the necessary changes to your address and click the save button at the bottom of the form. That’s it, you’re done. Yes, you can have as many as you need. If you are a large business with several delivery locations you can set up each one in your address book so when you come to order you can simply click the location you wish to send the goods too. We can also set up multiple users for one business assigning each their own specific delivery address. This can be especially helpful where individual departments manage their own budgets and ordering. What are your Christmas and New Year Opening Times? • Orders placed will be delivered on Friday 22nd December 2017. • Our offices will be open between 09.00hrs and 14.00hrs. • Our offices will be closed over this period, reopening at 9am on Tuesday 2nd January 2017. • Orders placed during this period will be delivered Wednesday 3rd December. Please ensure you let us know within 2 days of receipt of the order if you receive items not in compliance with your request. We will arrange for the item to be collected within 3 working days free of charge. A replacement will be sent out to you if still required, please indicate this when you complete the Query form. If you wish to return an item for any reason you can do so up to 14 days after you have received the goods for a full exchange or refund. You must contact us within 7 days of the arrival of the goods to notify us of a returns request. The item needs to be in the original, unopened, packaging without any markings or scribbles. Goods which are returned that are unfit for resale or do not match the returns requested will not be credited. Once a product has been confirmed as meeting our returns criteria a full refund will be processed within 14 calendar days of us receiving the goods. Due to health and safety reasons we are unable to take back any food or drink items, biscuits, coffee and water, etc. These items are clearly marked on the product page as non-returnable. If you contact us more than 14 days after delivery, we may be able to accept the goods back but a re-stocking fee may apply. Can I give my return to the delivery driver? Generally the delivery driver will be different from the driver making collections so unless the delivery driver specifically asks you for the collection and has all the relevant information for you to sign you should not hand over the goods. How long do I have to return product? What guarantees or warranties do my products have? All our products come with a minimum one-year manufacturer's guarantee unless otherwise stated. Can I return my old electrical items to you? This is done on a like-for-like basis. Therefore, if you purchase a new printer from us you can only return an old printer back to us. You have 28 days in which to return the old item to us. If the item was purchased online, you are responsible for any postage costs incurred returning it to us. Alternatively, you can call in to our premises and leave the item with one of our staff. Office Allsorts are an environmentally responsible business and as such we try and limit the amount of printed material we send out though the post. Many of our competitors send out a catalogue with your first order and then continue to send out countless mini catalogues throughout the year whether you have requested them of not. At Office Allsorts the main tool we use to showcase our products is our website and we have spent a lot of time and effort making it easy to navigate and quick to use. If we have special deals we prefer to tell you via email rather than clutter up your in-tray with mailers. However, we do appreciate that some customers prefer to use a catalogue to select their office supplies and so we are more than happy to send them out upon request. How do I sign up for newsletters and special offer emails? When you register with Office Allsorts or open an account you will be asked if you would like to receive special offers. Simply check the box and we will add you to our mailing list. If you don’t want to open an account just yet but want to receive our special offers then all you need to do is scroll to the bottom of any page on the website and enter your email address in the ‘Subscribe to our Newsletter and Special Offers’ banner. If you no longer wish to receive promotional emails from Office Allsorts then all you need to do is click the unsubscribe link on any email you have received from us. Alternatively you can contact us directly and one of our team will remove you from the mailing list.